A blog about books (mine and others)...perspectives on American culture (from my own POV and no other's)...and reflections on life in general. My goal this year is to post in these pages at least once a week. The challenge to that goal is that my new, post-retirement freelance writing career is taking off with a bang in 2016 and I am busier than ever! And that got me to wondering how I am going manage the organization of everything I need/want to do in 2016? I am a big idea person, not “get-er done” type. I make lists and forget where I put them—or even that I made them. I have paper lists, lists on my laptop, and lists on my phone. I use a phone calendar and a print calendar both. I have a memory like a flea (as opposed to an elephant). Clutter is my nemesis. I am forever trying to get myself organized. And 2016 is looking overwhelming to say the least. But in the final weeks of 2015 I happened upon a system that some freelancers in a Facebook group I belong to have been touting. It’s called the Bullet Journal. I call mine the Bullet Planner. But it’s the same idea. The Bullet Journal was devised by a blogger who goes by the name Ryder. He calls it “an analog system to track the past, organize the present, and plan for the future.” Check out his video and webpage. He considers it a journal because one of its purposes is to be kept for future reference even after it is filled, the way you would a journal. I will do that, but right now my focus is on planning. What I love about Ryder’s system is its simplicity, its flexibility, and that all the information I need and want to collect is stored in one place that can travel with me. And I didn’t need to buy an expensive, pre-made, heavy “planner” to accomplish it. 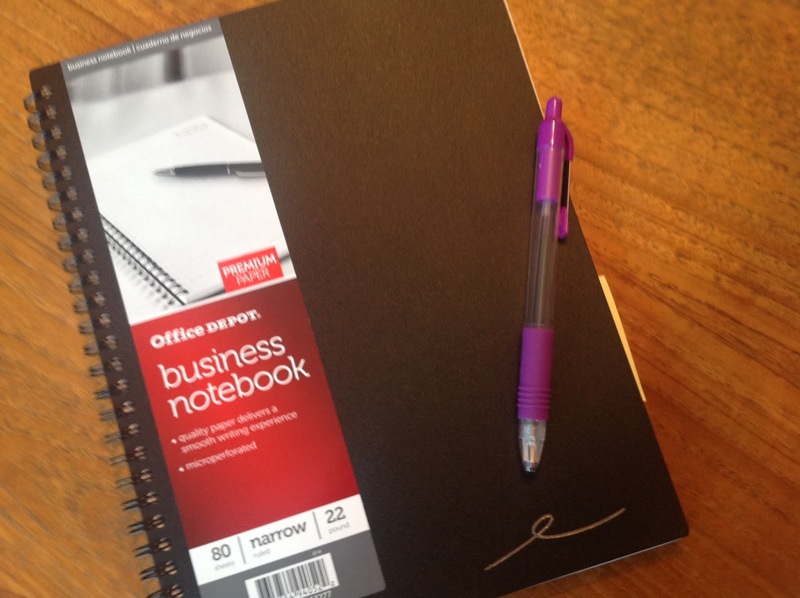 In fact, I found an Office Depot business notebook with a stiff cover and 80 narrow-ruled lined pages on sale for $4. There were two sizes available; I chose the smaller one: 7.25” x 9.5”. A lot of the freelancers I communicate with opt for moleskin journals or ones with inspirational covers. I opted for plain black, lightweight, and cheap. If you're into inspirational, there are lots of options at Amazon. As I said, the beauty of the Bullet Journal or Planner is its simplicity paired with flexibility. You start with an Index page up front. This is actually a two page spread. Its purpose is to keep track of what you include in the planner and is a handy reference tool. As you work through the planner you number the pages consecutively then record them in the Index as needed. That way you don’t have to worry about where you put your lists within the notebook. When you need to create a new list for any purpose, you put it on the next blank page and jot its page number into the Index. The second two-page spread is what Ryder calls the Future Log. It’s basically a grid of the twelve months of the year, providing a year-at-a-glance type calendar. Mine is a simple line grid. If you Google “Bullet Journal Future Log” you’ll see lots of different ways that people represent their Future Logs. I list birthdays, appointments and important events in my Future Log. 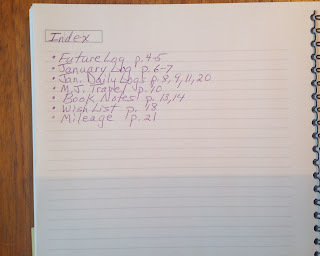 Once you’ve gotten a Future Log sketched out, list it on the Index page. The next two-page spread is the Monthly Log. This is the birds-eye view of the month you are in. On the left-hand side of the left page you list all the dates of the current month vertically, and next to them the first letter of each day of the week. 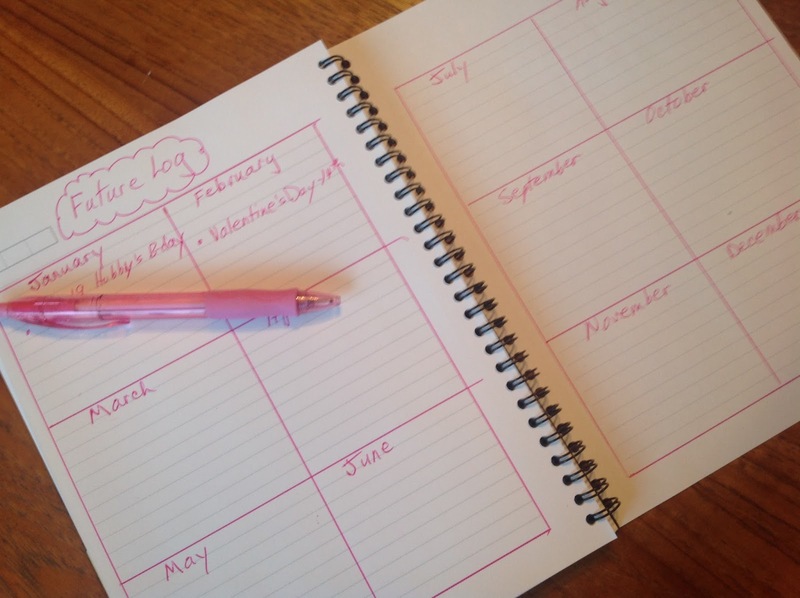 You’ll find yourself quickly filling this in with appointments, meetings, events, whatever. On the right-hand page you create your bulleted to-do list for the month. Mine filled up within five minutes of starting this page. 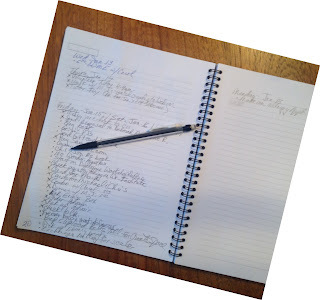 (Note to self: write small; I might want to leave room for a second column of to-do’s on this page!). 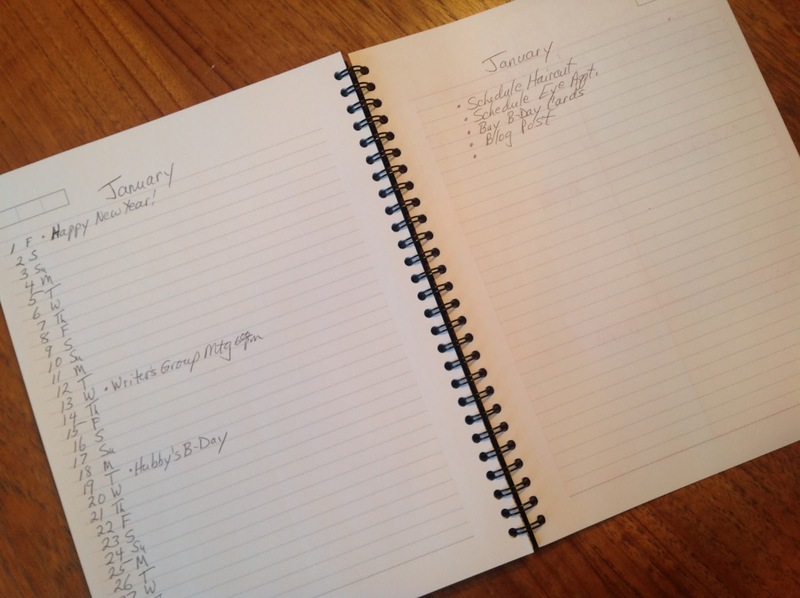 You’ll create each month’s Monthly Log when you get to that month. Once it is created, list it on the Index page. Finally, in the organizational portion of the Bullet Planner, you begin your Daily Log. This is the workhorse of the planning system, your daily do-to lists. Each day’s entries take up as much or as little space as needed, and flow such that a single page could potentially hold multiple days. BIG TIP from Ryder: Don’t set up a sequence of daily logs ahead of time. Create them as you go since you don’t know how much space you’ll need for each day. However, I do find myself building the next day’s log throughout the current day. And keep the entries brief. Ryder calls it Rapid Logging. Truly, just bullet-point words and phrases. He has a simple system of bullet notation that I won’t go into here. But the main thing is to check off items you accomplish and migrate those you don’t to the next day, or line them out if you decide they don’t need to be done after all. Again, his system is simple, easy to remember, and quick, so it’s worth taking a look at his website. So the ultimate flexibility of this system lies in the indexing. You don’t have to keep your Monthly or Daily Logs on consecutive pages. They can be interrupted by whatever lists you feel the need to create, because everything is indexed for reference. My January daily to-do lists start on page 8 but might also be on page 9, 12, and 13. In the Index it will look like: January Daily Log: 8, 9, 12, 13 and will grow as needed. 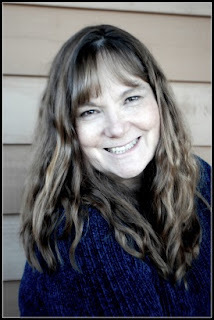 My sister-in-law, Mary Joy, who is also my On the Road… mystery book co-writer, is constantly on the road. And I go crazy trying to keep track of where she’s going, when she’s leaving, when she’s coming back. So one of the first lists I created was “M. J.’s Travels.” Now I don’t have to keep bugging her to find out what her availability is for writing or book promotion events or even to invite her over for dinner. When she tells me of an upcoming trip, I immediately put the information onto page 10 of my Bullet Planner and forever after have it at my fingertips. What you include in this centralized planner is limited only by your imagination—okay, and maybe the page count. I don’t know yet if one notebook will work for an entire year. Some freelancers say that when they fill up one notebook they simply start another, sometimes using three or four during the course of a year. It doesn’t bother them to migrate the informational lists to a new notebook/journal, because they like using that time to weed out the old lists, re-evaluate what they want to do or save (maybe you’d decided not to read that best-selling romance novel after all), and re-prioritize their lists. Does this all take a long time to set up? It didn’t for me. I spent more time shopping for the “perfect notebook” than I did setting up my initial pages. And that’s just because I was looking for something to inspire me. It turns out that simple, black, lightweight, and cheap was all the inspiration I needed. 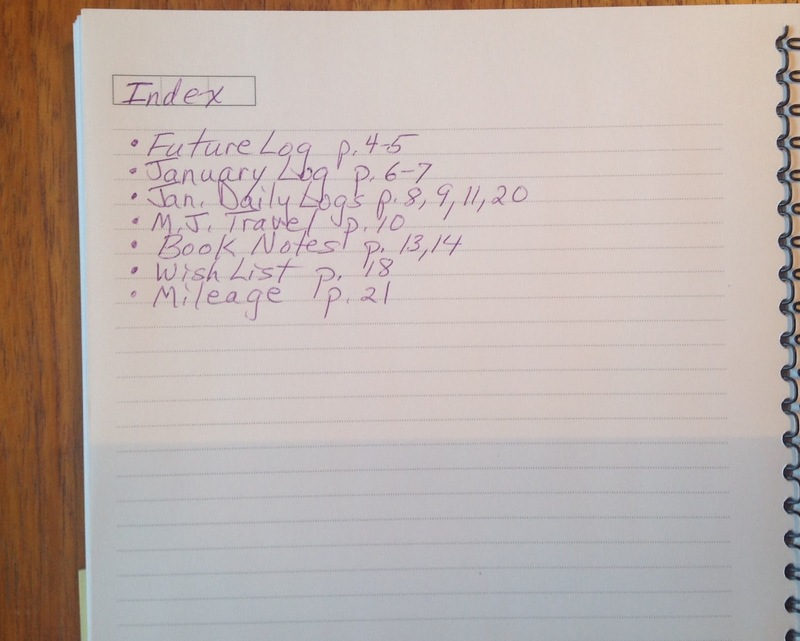 As for setting up my Index, Future Log, January Monthly Log, and Daily Log, all that took me less than an hour. And just doing it helped relieved the anxiety I was experiencing after a lengthy phone conference with a client, worrying that I had overextended myself. By focusing on a simple year-long overview, the current month, and the current day, I was able to take a deep breath, sit back, and reassure myself that I can handle my commitments, not just to my freelance work, but to my family and life as a (supposed) retiree. So bring it on 2016! I’m eager to get to work and I’m hopeful that my new Bullet Planner system will help me keep it all organized. Imagine writing your first novel when you are only eleven years old. Image publishing your third before you're even half way through high school. That's what seventeen year old Madelyn Spindler did. 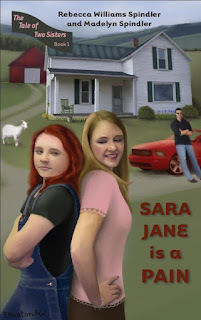 Madelyn teamed up with her mom, Rebecca Williams Spindler, to write the middle grade novel, Sara Jane is a Pain, when she was still in middle school. The daughter/mother duo went on to write two more novels in what would become The Tale of Two Sisters series. What's cool about this three-book series is that the characters, Liz McCormick and her older sister Sara Jane, grow up throughout the books, just like Madelyn did. The character of Liz is eleven in the first book. 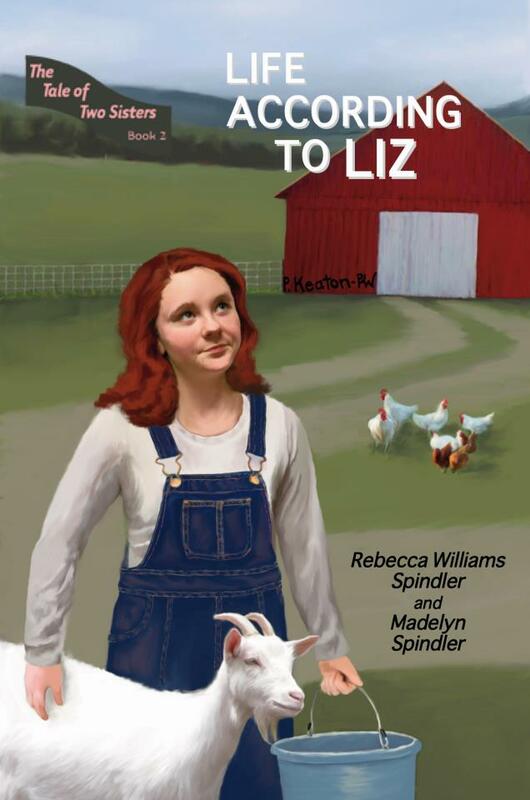 In Life According to Liz, the protagonist experiences her twelfth birthday and she’s losing her disgust for boys. In Moving Out and Moving On, Liz deals with the emotions, both positive and negative, of seeing her older sister head off to college. Madelyn herself, a senior at Verona (Wisconsin) High School, is now collecting acceptance letters to college. I recently had the privilege of interviewing Madelyn Spindler via email about her writing process, her life outside of writing, and her plans for the future. Take a look at what this amazing young author has to say. You have written and published three books for tweens with your mom, Rebecca Williams Spindler. How did that happen? What is it like writing with your Mom? How do you actually do it? Madelyn: Writing with my mom had its ups and downs. It was helpful to collaborate on our ideas and make them even better, but there were certain times where we would argue which idea for a chapter was better. During the first two books, we would plot out a general outline for each chapter and then my mom and I would branch off and write on specific chapters. In the third book, we alternated chapters where I would write in the perspective of the younger sister (who was close to my age) while my mom wrote in the perspective of the older sister and the parents. Then we would meet back up again and make sure the structure of the story flowed. How did you first get published? Do you have an agent? Madelyn: At first we were scanning through publishing companies and we spotted a brand new publishing company called Little Creek Books that was planning on publishing YA books similar to ours. We whipped up the first few chapters of our book Sara Jane is a Pain and sent it to them. A few weeks later we got their approval AND they wanted our idea to become a series. We don't have an agent YET. My mom is currently working on getting one. Did you have a book launch for each of the books? Do you do book signings and other book events? What are those like? Madelyn: We've attended MULTIPLE book signings in libraries, coffee shops, book festivals, book stores, etc all over Wisconsin and even in Virginia. I felt like I was taking a tremendous step outside of my comfort zone when we launched our first book signing. I was (and kind of still am) a very quiet and secluded person. However, books are meant to be read and shared, otherwise what is their purpose? Also, we have done creative writing workshops. Are your friends and other kids at school aware that you are a published author? What is that like? How do you handle it? Madelyn: Only some of my closest friends know I'm a published author. I have never purposely told them I'm an author. There would just be days where it would slip out or they would find my name on a book in the library and be like "what is this?!" Honestly, I don't think many of my classmates know that I am an author, but I'm fine with it. I don't like to be cocky. What are your other interests? What do you like to do beside write? Madelyn: For a while I was in synchronized swimming. Also, I've also been playing the clarinet for seven years and I currently work as a waitress at a retirement home. I'm also a huge Harry Potter geek. I love hanging out with my friends and family, they're USUALLY great stress relievers. What kind of books do you like to read? What are you reading now? What is your all-time favorite book? Madelyn: I love to read (and write) all genres of books except horror. Sadly, I don't have the chance to read as much outside of school as I'd like to. Right now I just finished reading the books Jane Eyre and Great Expectations. I'm starting to break free from pop-culture books by reading classic literature. It's REALLY hard for me to choose my favorite book. Are you looking ahead to college? A career? What are your plans for the future? Madelyn: Oh yes, I am definitely looking ahead to college. I'm more focused on future than my present right now. I'm planning on getting a bachelors degree in English and professional writing. Also, I want to minor in French. I have no idea what I should do for my future career. I have to be more than just an author. I think it would be fun to be a travel writer, but it would be a lot of work, too. Will you continue to co-author novels with your Mom? Are you writing anything else right now either with her or on your own? Madelyn: Right now, I'm starting to branch off and write on my own. I came up with an outline for my next book and I've written the first three chapters. It's still a work in progress though, and each year I get less and less [time] to write, but more and more better ideas! What advice do you have for other young people who want to write? 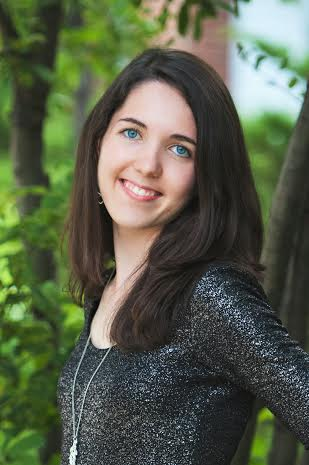 Madelyn: My advice is to never give up, no matter your age or how busy you are. Also, never be afraid to share your writing! A book has no purpose if it is never read! Halloween has come and gone. Maybe the trick-or-treat crowd was low in your neighborhood this year and you have an unexpected bounty of treats that you don’t want hanging around the house. Or maybe your own little ghosts and goblins hit the motherlode and came home with far more treats than your entire family can or want to consume in the weeks to come. Whether edible or non-edible, and whatever the reason, if you have Halloween treats hanging around the house that you would love to share with others, here are some ideas for sharing the wealth. 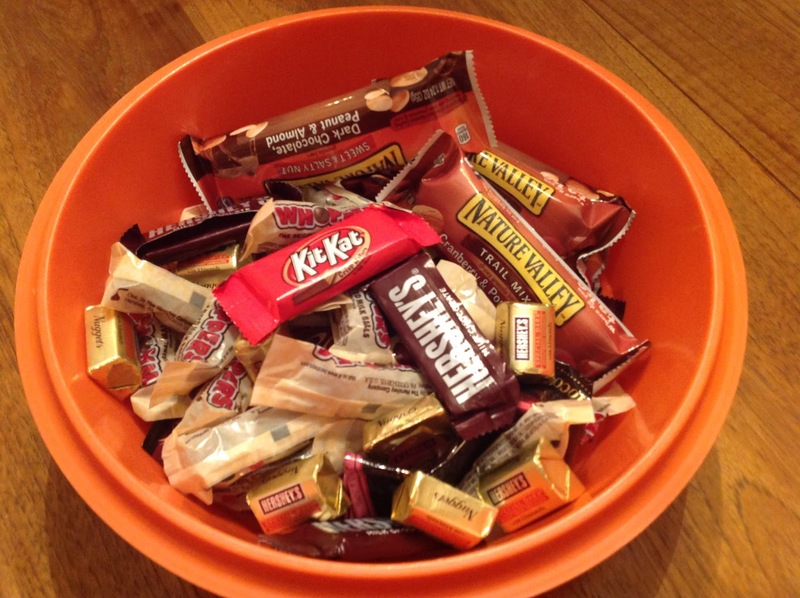 Send your leftover candy directly to U.S. Troops using the address posted on this Operation Gratitude Blog post. Too many sweet treat may not be good for any one child or family. But small amounts distributed among a large group such as those at nursing homes, homeless shelters, or U.S. troops can lift individual spirits. So once the costumes have been put away, and the jack-o-lanterns thrown on the leaf pile, have fun with reverse Trick-or-Treating and spread the sweet wealth. Question: Have you done something creative with leftover sweets and treats from Halloweens past? We’d love to hear more ideas. Please leave a comment below. Things that go bump in the night. A cold draft where there shouldn’t be one. A hazy image of a young man perhaps in a Civil War uniform. When I was a teenager, one of my best friends claimed a ghost inhabited her house. I was never quite sure. But she believed it was real, and I believed her. I do know that some odd things went on that we could never explain. Too bad we didn’t have Ghost Busters to ferret out the truth for us. Or even better, paranormal investigators. Today there are a number of paranormal investigative groups throughout the U.S. One of them is based right here in Wisconsin—The Wausau Paranormal Research Society (WPRS). And they love ferreting out the truth about things that go bump in the night. I first read about these paranormal investigators in the LaCrosse Tribune. Every year about this time (October) the group sponsors a haunted walking tour of historic downtown Wausau. According to the LaCrosseTribune article they also go on the hunt whenever they get a call about "doors opening on their own, apparition sightings, strange smells or objects moving by themselves." The reason they do it? To find out whether paranormal activity is actually occurring. And apparently, most of the time it's not. “We don’t go into an investigation thinking it’s paranormal all the time,” WPRS investigator Bill Beaudry is quoted as saying. “We don’t jump to the conclusion that every creak, every knock, every sound is a ghost. We try to find a logical explanation.” Often as not that explanation has to do with plumbing or the electrical wiring. But sometimes they can find no logical explanation. And on rare occasions they might capture an auditory recording or even a photo image of something that isn't supposed to be there. 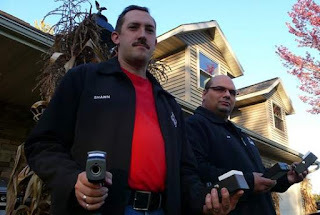 The team has quite an array of equipment with which to capture evidence of spirit life: digital video recorders, a night shot camera, an infrared sensitive video camera, various high-tech audio recorders, thermal probes, a variety of meters designed to detect changes in the electromagnetic field, vibration and motion detectors, a Geiger counter, and even a laser grid. They are determined to catch their ghost in the act—assuming there is one. 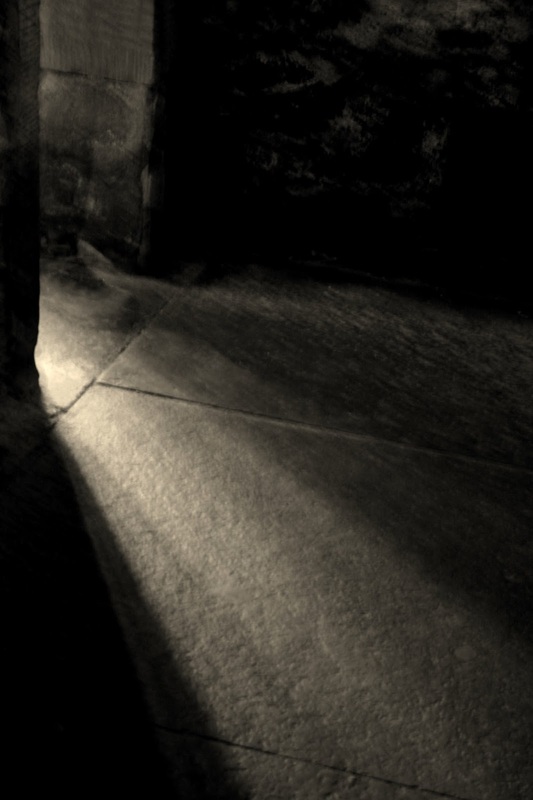 Some members of the team have had paranormal experiences of their own. Co-director Anji Spailek told the LaCrosseTribune reporter about an investigation during which she spotted a person wearing a work jacket and work pants, except that there was no one in that part of the building but her. She followed the figure into the kitchen area, but by the time she got into the room it was already gone. At this point I was so intrigued I just had to find out more. So I contacted WPRS Director Shawn Blaschka by email and asked him some questions that had been haunting me. And he was kind enough to respond. Shawn, how did the Wausau Paranormal Research Society get started? Shawn: I joined the group in late 2000 when it was about 6 months old. By February 2002 disagreements with leadership forced the group to dissolve. 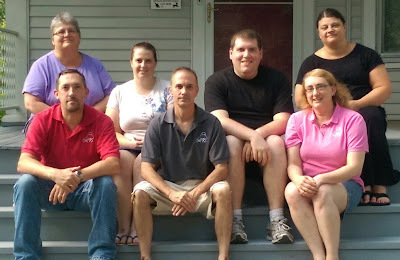 I and another member immediately renamed the group and continued to operate as the Wausau Paranormal Research Society. How did you learn to do what you do in terms of investigating possible paranormal experiences? Shawn: Much of what I have learned was through reading various publications. My remaining education in the paranormal was received when I started with the original group and through years of experimentation along with trial and error. About what percentage of your cases do you feel actually have a paranormal aspect to it? Shawn: I would say maybe 10 to 15 percent have some form of paranormal activity or occurrences that can’t be readily explained. 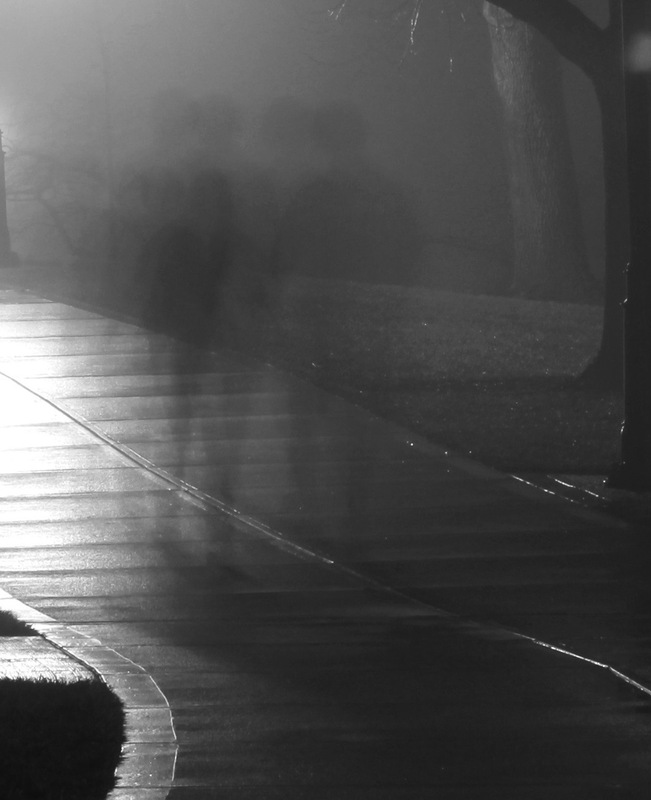 Have you uncovered evidence of real ghosts? Shawn: Proving the existence of ghosts is impossible at this point. Science demands that absolute proof or validation of a ghost must be able to be recreated in a laboratory setting many times over. I have captured evidence of what I think are spirits but again I cannot prove absolutely that they exist. What do you do when you capture evidence of what you think are spirits? How do you follow up or help people resolve issues that you feel are truly paranormal in nature? Shawn: Most of the help we provide comes in the form of education or validation of claimed events. Usually we are able to explain to the client what may be going on and then educate them regarding the issue at hand. Several times we have used the method of laying down ground rules. This consists of us speaking out loud to the entity and giving it rules to follow if it wishes to coexist with the present family living there. Of course the client must also follow rules as well for this to be successful. We have had I would say about an 80% success rate with this approach. Shawn: I think so such as telepathy, telekinesis, remote viewing, etc. What is the most notable or unusual case your group has investigated? Shawn: I think the place where we had the most unexplainable activity and captured the best photo of a spirit would have been at the Retlaw Plaza Hotel in Fond du Lac, Wisconsin. Where, besides Wausau, have you gone to investigate paranormal reports? What is the farthest you have traveled to do this work? Shawn: We have traveled all over the State Of Wisconsin. Also some areas of Upper Michigan and into Illinois. The farthest I have traveled to ghost hunt would have been Deadwood, SD and The Menger Hotel in Texas. Do you and your investigators hold other jobs? If so, how do you balance work with paranormal research? Shawn: We all hold a “normal job”, ghost hunting is not a profit making venture. We don’t charge for our services and never have. Most of us just work around our schedules and make the time to do the research and spend the time with clients that need our help. You have quite a bit of equipment listed on your website. How do you fund your equipment and your investigations? 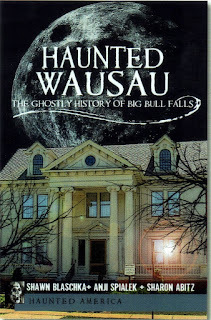 Shawn: The only funding we have for the group comes from doing our Historic Haunted Walking Tours each October and through the sales of our book, Haunted Wausau: TheGhostly History Of Big Bull Falls. Do you get people calling you "Ghost Busters?" very often, and if so, what is your reaction to that? Sometimes we do but it is not what we are. Don't get me wrong, I love the movie but the title is disrespectful in our eyes. We don't get rid of ghosts, we try to help people through educating and finding non-paranormal explanations for our clients. Are you affiliated with any other paranormal investigating groups? For instance, is there any kind of a national registry or organization that your group belongs to? Yes, we are TAPS Family Members (Ghost Hunters from SYFY Network). We are area representatives under TAPS for the State Of Wisconsin. ~ My thanks to Shawn Blaschka for taking the time to fill us in on the work of the Wausau Paranormal Research Society and for all the WPRS team members for their work to delineate "where paranormal and reality meet." As I approached my retirement after 40 years of teaching, I found my head spinning with all the possibilities, worries, fears, and questions that come with a major life change. I turned to my friend, Mary Aleckson, a Life Coach. And to my amazement, in just a couple of sessions she helped me corral and organize my thoughts, prioritize my needs and wants, and envision my own path forward, addressing both personal and creative goals. I had never used a Life Coach before and was intrigued by the profession. So I asked Mary some questions about her role as a Life Coach via email. Here is what she said. Mary: The simple answer is we coach! If you take the word “coach”, you might think of a “carriage”. A carriage takes you to a place you wish to go and so does a Life Coach. 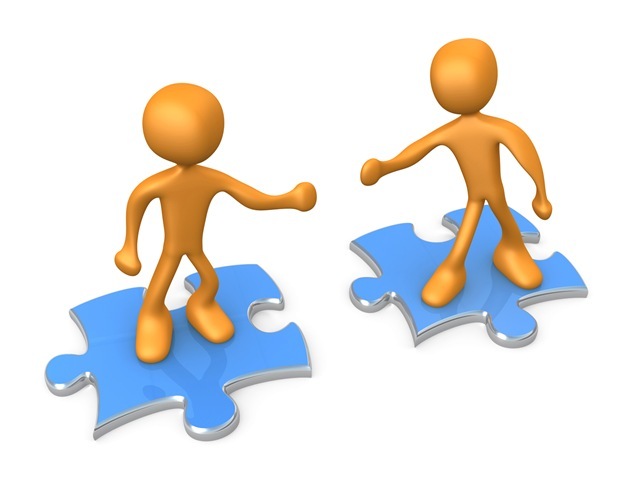 We develop powerful partnerships with our clients to help them design their future. We do this by asking powerful questions which get our clients thinking. It’s not therapy or advice giving, so we talk about present situations and ask where they want to go in terms of dreams and goals. We use an array of tools such as the wheel of life, metaphors, new perspectives, value clarification and more. These tools help to create new awareness which can benefit our lives and make it more fulfilling. We are trained and devoted to guiding others into increased competency, commitment and confidence. What drew you to this type of coaching? Mary: I am an educator with lay counseling and crisis intervention experience. I am always looking for new ways to be a resource for my family and friends. Training to be a life coach seemed like a natural evolutionary tool to add to my educational repertoire. After doing the research, I enrolled in the UW Dept. of Continuing Studies PLCC (Professional Life Coaching Certification) program. It was a nine month, highly rigorous programs which expertly prepares us as a trained Coach. Personally I was looking for a career which would provide flexibility to my schedule. I am hoping to coach for the rest of my life, I love it. Have you ever been coached yourself? If so, what was that experience like? Mary: Funny you should ask. It was a requirement for PLCC. My coach, Pam, was from Phoenix Arizona. She was also certified in mentor coaching so she was able to give me advice on starting a business, as well as personal goals. We spent quite a bit of time in class coaching our cohorts, too. In class we were free to discuss our coaching topics as long as we sought permission from each other. Otherwise, we learned that what we coach on is always confidential and will not be discussed with others. Being coached can sometimes create new awareness, which can be uncomfortable at times, but ultimately provides personal growth, which makes us a better and more productive person. It is important to experience what it felt like to be coached while learning the art of coaching. What is your biggest challenge in coaching? Mary: I had many challenges. My background is teaching, tutoring, lay counseling and a person willing to give advice or guidance on any topic at any time to any person. I love to do research and I read a lot, and folks would call me up for advice all the time. This included looking for jobs for them. I love it! Coaching, on the other hand, takes a different approach. We hold our clients to be creative, capable, and confident, and in charge of their own lives. So what this meant for me was that I had to learn to remain silent and ask questions and be a better listener. And trust the client will come to their own conclusions and direction in their own lives. As a teacher, I always had a good life lesson narrative to share, so I needed to learn it is not about me and my life lessons, but my clients. This challenge took some time to learn for me, but I think I got it now. What has surprised or perhaps delighted you most as a coach? Mary: Initially I thought it would be a wonderful trait to help others be more satisfied in their lives, but what truly surprised me was just how effective life coaching really is! Part of the requirement in class was to coach at least 50 hours for practice. I was delighted to know so many family and friends trusted me to coach them. Amazingly, it turned out to very beneficial for them and they said coaching really helped and some clients volunteered to write complimentary testimonials for my website, which I appreciated. Coaching is about growth and change, so I was happy the PLCC program did such a nice job of training us to help make that happen. I understand you are doing some pro bono (free) coaching. Talk about that for a bit, please. Mary: There is a group of women from Indiana who came together to create a national program to help women wanting/needing coaching but couldn’t afford it. It’s called Women for Change. It’s a win-win situation. They screen the women and match them to a coach. I have just been matched with a young woman from Texas. I will coach her for 12 weeks [for free]. This opportunity keeps me in the loop, plus it counts as paid coaching hours which I need for higher certification from the International Coaching Federation. W4C3 also provides free workshops for me so I can continue to receive CEUs. Since most coaching is over the telephone, I have the opportunity to coach folks from all over America. Not to mention I feel it is a very valuable cause to help others in need. What should people know or think about before hiring a coach or going to their first coaching session? Mary: People should know that coaching really works. They should keep in mind it is not therapy. It is about where they are and where they want to be. I would tell them to be excited about coaching because it works. So if they are not ready to grow, or make a change, then it’s not for them. But if they feel stuck and would like to make a change, coaching gives them the ability to create new perspectives and awareness. The coach provides the technique and the environment to make it successful. They should know that coaching is totally confidential, nothing is discussed with anyone else. 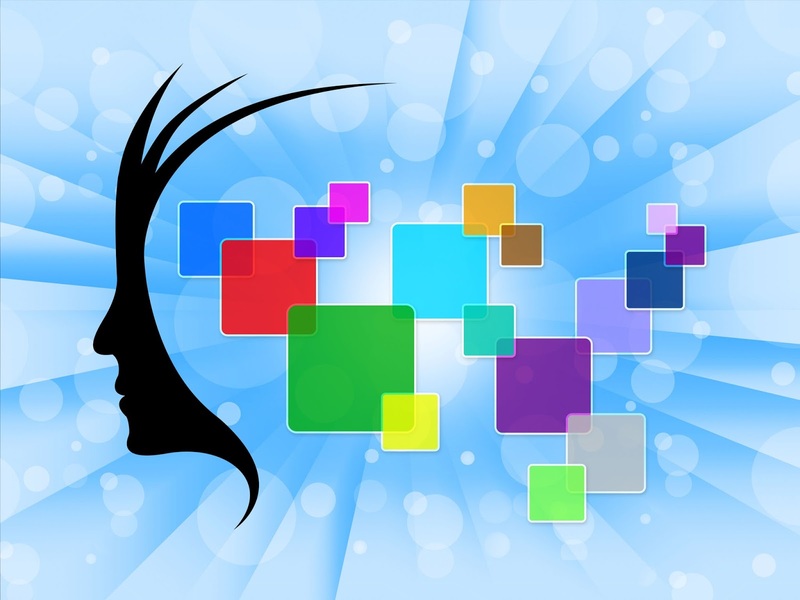 Since Life Coaching is about the individual, they can be coached on work, career, anything personal, health issues, relationships, or really anything. Expect the coach to use tools like the wheel of life, metaphors, values and value conflicts, or new perspectives. Most coaching takes place over the phone, so it is convenient. The first session is about designing our time together and what that will look like. And we suggest you come with some goals in mind. 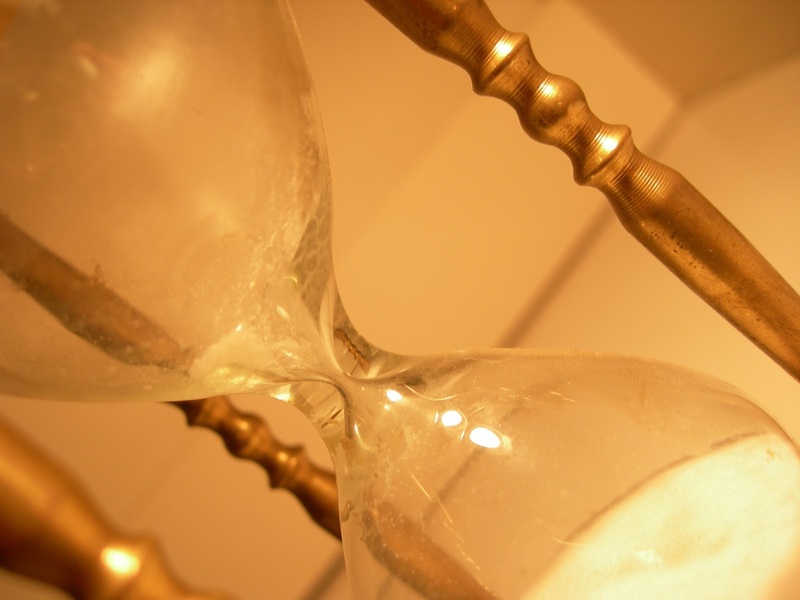 The coaching session usually runs from 30 to 60 minutes. Coaching can be once a week, every other week, or even once a month. I coached a young woman who “got it” after one session. I was happy for her. What advice do you have for someone who might like to become a Life Coach? Mary: Well, I don’t give advice (wink) but in my opinion if someone wishes to expand who they are personally and achieve their own goals, becoming a life coach can only make your life better and more enriched. Many folks in Human Resource find coaching enhances their departments. As far as starting a business, recognize that embarking on a new profession can take time, but with tenacity and patience (and a good coach) anything is possible. 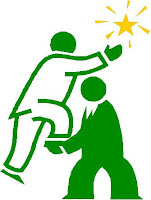 We are often advised to find a niche, as well, even though we are trained to coach any person and topic. 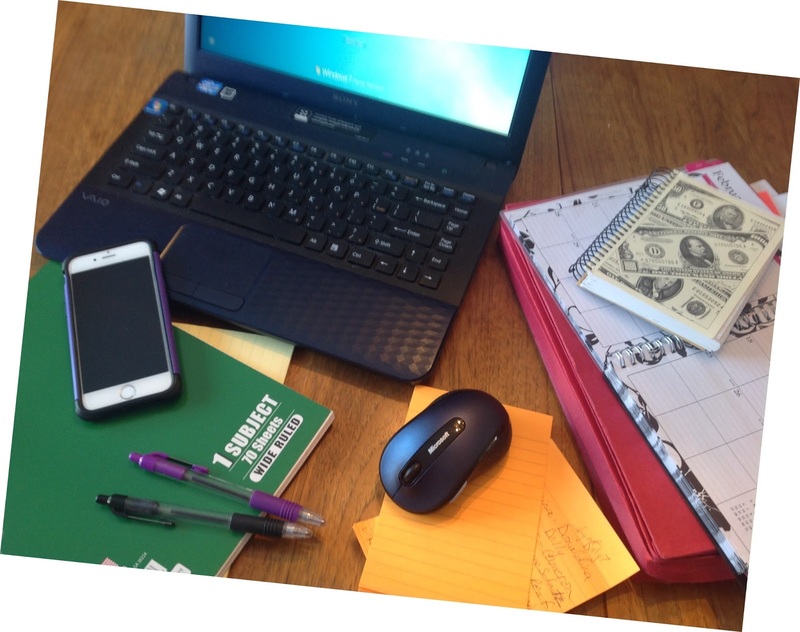 Since my background is in Education, I created a coaching website addressing families experiencing learning, health, or emotional challenges, in themselves or their children called, Family Life Coaching Matters I also created a niche website called, Second Life Coach. If wanting more information the University of Wisconsin Department of Continuing Studies PLCC website is a good place to start. They are ACTP certified which means they meet all the requirements for an excellent program through the ICF. I would also recommend trying a coach first to see what it is all about. I offer a free coaching sample session for anyone interested in trying it out. Trust me you’ll love it! ~ My thanks to Mary Aleckson for sharing her insights about the benefits of working with a Life Coach. If you've had a helpful experience with a Life Coach, please share with us in the comments. This weekend I had a huge butternut squash sitting on my counter complaining that it was going to waste. It had been given to me by a good friend who plucked it straight from her garden as I looked on. When she'd asked if I’d like it, I was too embarrassed to fess up and tell her I had no clue what to do with it. But c’mon! Someone gives you a gift of love from their garden, something they planted and nurtured with their own hands? How cool is that. So I took it. She mentioned that her husband loved her roasted butternut squash soup so there was my clue. Soup! Um, okay. I must have found two dozen recipes via Google. And all of them required that I roast the squash first. Well, one of them wanted me to roast half of the squash and use half of it raw. I don’t think so. In my kitchen it’s all or nothing. So I decided to roast it. I used Ina’s method for roasting butternut squash. You know, the Barefoot Contessa? Love her! So down to earth. She even has a little video to show you how. Turns out there’s an easier way to roast butternut squash if all you want it for is soup, but I’ll tell you what I did first then I’ll tell you the easier way. Well, Ina didn’t tell me exactly how to peel and cut my butternut squash. For that I went to Simply Recipes. 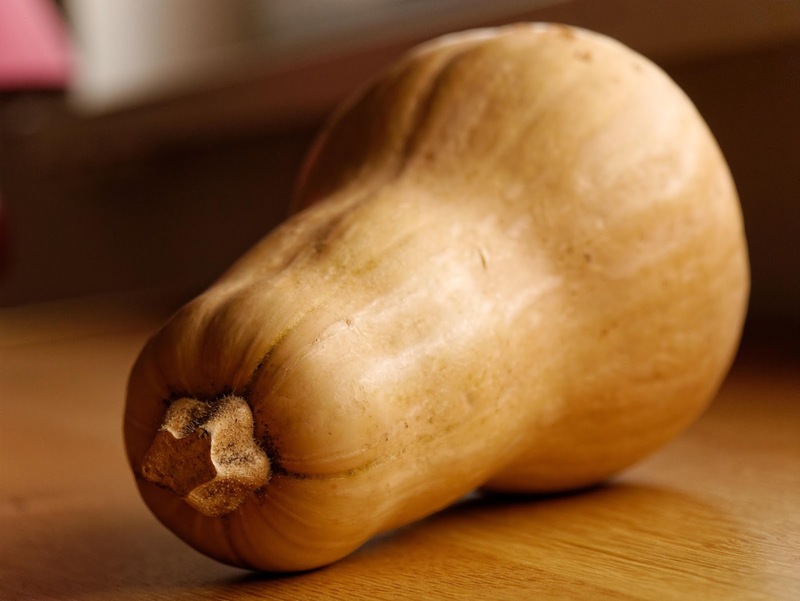 Basically, you want to cut the bottom and top off the butternut squash so it sits flat and stable while you peel it. I recommend you get a serrated vegetable peeler. I used a cheap carrot peeler and my knuckles suffered as a result. After you peel the squash, cut it in half. Be sure to use a good, heavy duty chef’s knife. Scoop out the seeds—a soup spoon will do. 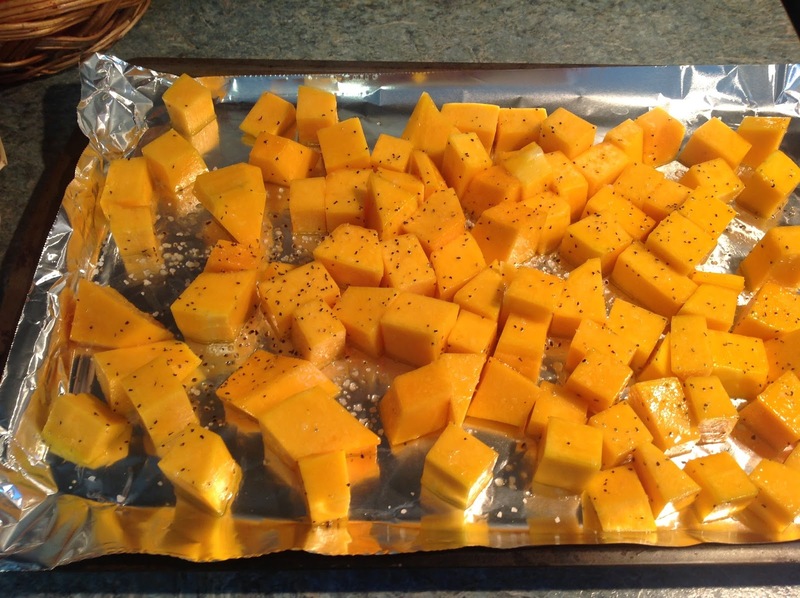 Then cut the squash into chunks. Toss the chunks with olive oil, kosher salt, and crushed black pepper. I roasted the chunks on a foil-lined cookie sheet at 400 degrees for about 25 minutes. Ina recommends you turn the chunks half way through with a metal spatula. I’m sure that's a good idea; but if you forget, like I did, no big deal. I will say, the roasted squash chunks are yummy as is. They would make a great side dish, especially paired with asparagus. But my goal was soup. Here is what I didn’t do, but will do next time. Sooo much easier if your goal is soup. Cut the squash in half, lengthwise. Scoop out the seeds. Lay the halves, open side up, on a foil lined cookie sheet. Brush with olive oil; salt and pepper liberally. Bake in a 400 degree oven for 25-30 minutes. When done, let the squash cool until you can handle it comfortably. Now scoop the meat of the squash from the skin and plop it into a bowl. How easy it that? Why didn't I didn't do that to begin with? What can I say? I'm a slow learner--truly clueless in the kitchen. 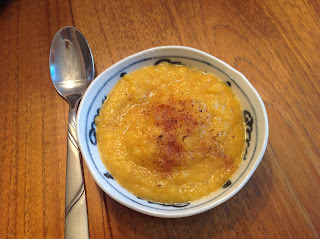 But the upside is that now I know how to make yummy chunked squash as a side dish. 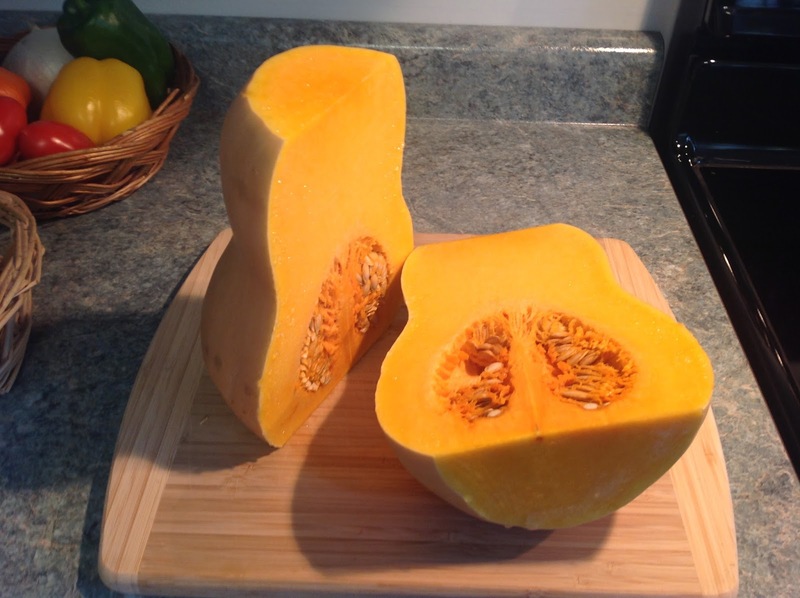 Now that the squash has been roasted, using whichever method you prefer, it’s time to make the soup. Start by peeling the Granny Smith apple, coring it, and cutting it into small chunks. 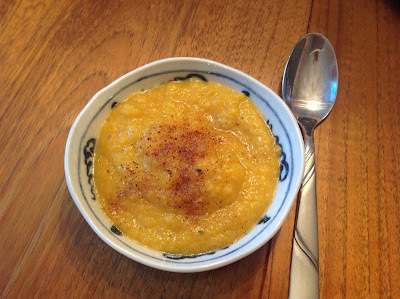 In a dutch oven pot, sautee the apple and onion in the butter. Add the sage and garlic. Sautee this mixture for about 7 minutes or until soft. Don’t let the onions get brown. Add the roasted butternut squash to the sautéed apples and onions. Pour in the vegetable broth and water. Bring the mixture to a boil, then turn the heat down and simmer it for about 15 minutes. Now add the half and half to the squash soup to make it creamy. At this point you will want to puree the chunky soup to make it more soup-like. You can do this in a blender or a food processor. Once pureed, pour the soup back into the pan to keep it warm on low heat. Feel free to add extra salt and pepper to taste. (Note: I didn't put salt and pepper into the soup mixture because I had added those ingredients liberally to the squash when I roasted it. Also, I tend to go light on salt; you might choose to add more.) You can also vary the amounts of the liquids (vegetable stock and/or half & half) depending on how thick & creamy or how soupy you like the end product to be. Serve the soup in individual bowls and sprinkle nutmeg over it. I served the soup to my guests along with a good, crusty, multi-grain bakery bread on the side. It turned out to be a hit. Give it a try! If I can do it, you can do it. And good luck! p.s. If you experiment and add something that makes your butternut squash soup zing, let us know! I have an affiliate account with Amazon. If you click on a book or product link in my blog post and purchase that item via the link, I will earn a small amount. You are not charged extra, nor does the author lose any royalty. Thank you for reading my blog! I am a teacher, a freelance writer, a novelist, a screenwriter...someone who is an observer and a researcher...someone who embraces life. Welcome to my blog! My other blog, this one with a focus on writers and writing.